For the next few Fridays here at The Finer Things, I'll be presenting you with fantastic fall foods to please your palette. 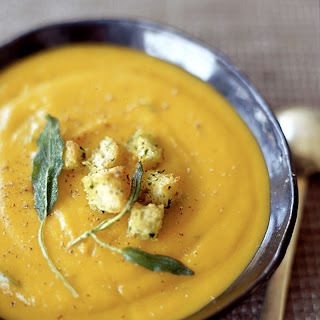 Today's focus will be on savory soups to warm up with when the autumn winds blow. Squash and White Bean Soup: Squash is a great ingredient to work with during the fall. 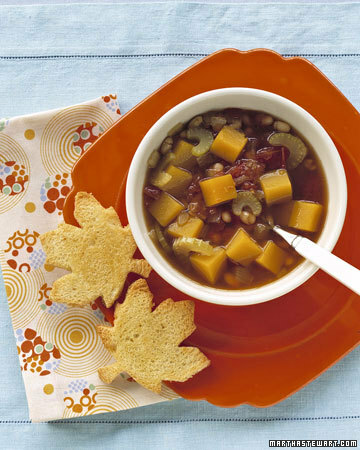 It's rich color and delicious flavor make squash perfect for many dishes, including this squash and white bean soup with other veggies. Roasted Pumpkin Soup: Pumpkin, a fall staple, works well in lots of soups. This roasted pumpkin soup is rich with onions and mushrooms, and is sure to please everyone's palette. 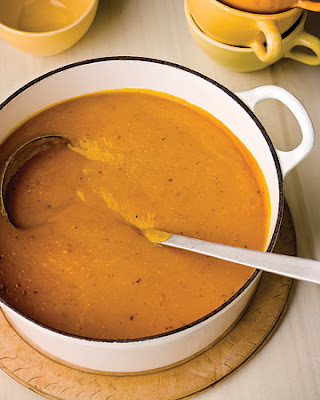 Cider Baked Butternut Squash Soup: This combination of butternut squash, vegetables, apple cider, cheese and cream will have your mouth watering before the pot is even simmering.